Adding trees to your property can do so much for your Richmond home. This improves curb appeal, provides natural shade and adds to the overall property value of your home. Plus, it is a feature of your property that is practically self-sufficient, yet not entirely. In fact, too many homeowners make the erroneous decision to let their plant life grow without much care or concern. This can end up posing a threat to both the health of your trees, as well as your roofing and home. Make it a point to get more proactive about your tree pruning service needs, and prevent unnecessary problems from developing. Above all else, this can greatly and positively impact the health of your trees. Cutting away dead branches, monitoring for illness or pests and promoting healthy growth is vital. Don't neglect the care required to keep your trees healthy. As tree branches grow, they tend to go unnoticed, since this is difficult to monitor with the naked eye, from ground level. However, what can happen is that these limbs get under shingles, pulling them away and exposing your roofing to the elements. Moisture can quickly lead to rot which means major repairs, if not replacement, of your roofing. Tree limbs also pose a threat of falling and crashing through your roof. Let a pro trim back your branches in order to prevent this from happening. C.S. Flournoy is the only name that you need to know, when it comes to local professional tree trimming. We genuinely have great concern for our customers, as well as their trees, homes and personal property. Make it a point to get proactive now, in order to prevent problems down the line. Let us help you get the service you and the results that you deserve. 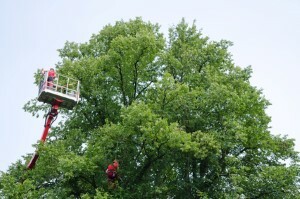 If you are looking for Tree Trimming in Varina then please call 804-264-1000 or complete our online request form.